I finished reading The Condition by Jennifer Haigh, one of my favorite authors. Like her earlier novel, Baker Towers, this one is also about family. Everyone in my book group enjoyed it very much. Because of book group commitments, I've read several adult books in a row without my usual alternating between kids/teen books and grown-up ones, so next I read a teen/YA book, The Deathday Letter by Shaun David Hutchinson. Narrated by a teen boy who knows he will die in 24 hours, this was a bit crude, but its dark humor and thoughtful ending grew on me. Now I'm reading The Story of Beautiful Girl by Rachel Simon, a local author here in Delaware. I loved her two memoirs, Riding the Bus with My Sister and Building a Home with my Husband. This novel about a young mentally handicapped woman locked up in an instituation in the 50's and 60's is absolutely wonderful - I was completely hooked within the first chapter (perfect for sick days!). My husband, Ken, is reading Num8ers by Rachel Ward, a teen/YA thriller, based on my recommendation. 16-year old Jamie is still working his way through a re-reading of the entire Redwall series by Brian Jacques, in between getting through his last weeks of school. He says he has only 3 books left to go! I posted a review of The Tiger's Wife by Téa Obreht last week. What are you and your family reading this week? Hope you're enjoying the holiday weekend! 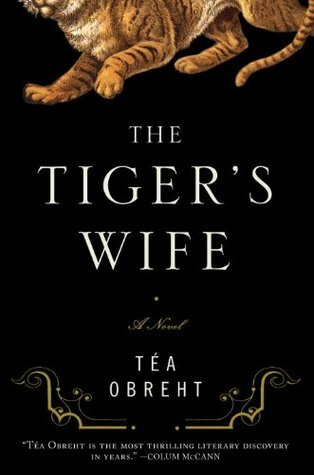 My book group recently read and discussed The Tiger’s Wife by Téa Obreht, the 26-year old first-time novelist who has been making headlines for months now. The New Yorker named her one of the top twenty fiction writers under 40 in America, and she was on the National Book Foundation’s list of 5 under 35. This is most definitely a literary novel , with beautiful prose and layers of meaning. My book group found plenty to talk about. Describing the plot of The Tiger’s Wife is a challenge because the plot is not really the point, as is often the case with literary novels. Obreht brings the reader into the world of Natalia, a young doctor living in an unnamed Balkan country. Natalia and her best friend from childhood, Zóra (who is also a doctor), are driving across the recently created border to deliver vaccinations to children at an orphanage in a small town near the sea. On the way, Natalia’s grandmother calls her to tell her that her beloved grandfather has died. It is clear that Natalia and her grandfather were very close, and their relationship is at the heart of this book and her attempts to unravel the past. There is a bit of a mystery in the present because Natalia’s grandfather died in a town far from home, and Natalia wants to find out why he was there, but that mystery is never really answered explicitly. In fact, there is a lot in this book that is never answered explicitly. Our book group meeting was filled with a solid two hours of asking questions of each other. “What did he mean when he said this” or “Why did she do that?” or “Did anyone figure out…?” The novel is a convoluted tangle of past and present, action and stories, reality and legend. It is a novel that requires a lot of thought and consideration. For the first time ever, our group members rated the book from 1 to 10. Surprisingly, after all those questions, most people rated it a 6, 7, or 8, though a couple of people really didn’t like it. Some people will see that it is a literary novel and immediately say, “no, thanks – too much work,” and that’s OK. It’s not for everyone. I couldn’t handle a steady diet of such thoughtful books; I need some fun and escape once in a while! We all agreed we would recommend it to people in book groups because this is the kind of book that requires discussion and reflection, but most of us enjoyed it and were glad to have read it. I also enjoyed reading about a place and a part of recent history that I knew almost nothing about. 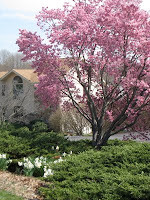 This time of year is just so busy, with all sorts of end-of-year school functions, last soccer games, overwhelming yard work needed, plus last-minute vacation planning before summer starts. We spent our weekend on all of those, with more coming up this week. Still trying to squeeze in some reading, as well! I finished reading The Tiger's Wife by Tea Obreht (though not until the day after my book group discussion!). It was well-written but a very complicated book - we all agreed it was a good thing we had each other to talk to! I still have some lingering questions about it. Definitely a literary novel. As soon as I finished The Tiger's Wife, I moved onto my book group book for this week (sometimes they fall one right after the other like this! ), The Condition by Jennifer Haigh. I am loving this novel so far. Haigh is one of my favorite authors - she is especially talented at writing about family relationships. I finished Blood, Bones and Butter: The Inadvertent Education of a Reluctant Chef by Gabrielle Hamilton on my iPod, a fascinating memoir about a very unusual life. I started a new audio, Revolution by Jennifer Donnelly, a teen/YA novel about a troubled teen girl who becomes engrossed in the story of a teen girl during the French Revolution. It's excellent so far. My husband, Ken, finished Once a Spy by Keith Thomson and moved onto its sequel, Twice a Spy. He's enjoying this author. 16-year old Jamie is still working his way through a re-reading of the entire Redwall series by Brian Jacques. We're planning a 3-week trip to California, and he's very worried about how to bring enough books. On our usual road trips, he packs a whole duffle bag with nothing but books, but this time we're flying. I think we'll ship a box out there to my aunt's house before we go! I posted two reviews last week: Cutting for Stone by Abraham Verghese here and Sapphique by Catherine Fisher at Great Books for Kids and Teens. I also posted a link to an excellent radio interview with author Diane Ackerman that I really enjoyed last week. 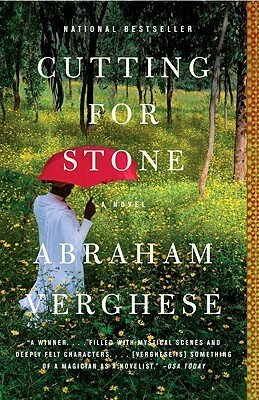 I kept hearing outstanding reviews of Cutting for Stone, a novel by Abraham Verghese, so I picked it up with a birthday gift card at Borders this winter…but I couldn’t find time to read it (it’s 657 pages! ), so when I was choosing a book for spring break last month, I finally dove in. It took me over two weeks to get through it, but I thoroughly enjoyed every minute. This complex story features full, rich characters and beautiful prose in an exotic setting. Twins Marion and Shiva are born in 1954 conjoined at the head (but immediately separated) in Ethiopia to an Indian nun whose medical colleagues are shocked to find out she’d been pregnant. She dies in childbirth, her assumed partner runs off, and the twin boys are brought up by loving adoptive parents near the tiny hospital in Addis Ababa where they work as doctors. The boys grow up with an innate fascination with medicine, amid a country embroiled in revolution, and both seek to be medical professionals themselves, each in his own way. Looking back at that last paragraph, I see that describing the plot and subject of the novel like that just doesn’t do it justice. This novel is filled with details, of the characters and their backgrounds, the settings, and the boys’ lives, making you feel as if you are there. Before I read this book, all I knew of Ethiopia was what I’d heard of the famines in the1970’s and 1980’s, so the novel’s description of a lush and mountainous country influenced by its past Italian rule was fascinating to me. Likewise, the author’s insights into human nature were engaging and thoughtful. I heard a wonderful interview today on the NPR show Radio Times with author Diane Ackerman, perhaps best known for her novel, The Zookeeper's Wife. 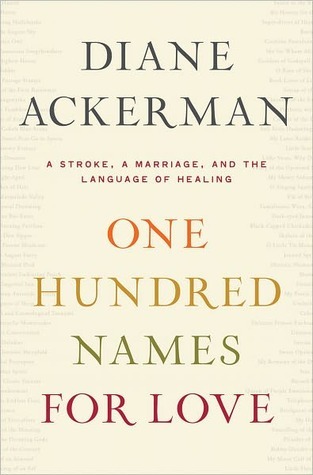 She was discussing her latest book, a memoir called One Hundred Names for Love: A Stroke, A Marriage, and the Language of Healing. It's about her husband, fellow author Paul West, and a terrible stroke he suffered that took away his command of language, leaving them to recreate their own way of communicating with each other. The interview was wonderful, and the book sounds warm, moving, and fascinating. You can listen to the interview online or download it here. Monday...and another dark, rainy day. It's supposed to rain all week, with possible thunderstorms and hail today! I am just hoping life will return to (somewhat) normal this week. Last week, my family traveled to Washington, DC, to give testimony in front of the CFS Advisory Committee (within the Department of Health and Human Services) about how the immune disorder, ME/CFS, has affected our lives. If you're interested, you can watch our testimony at this link. While in town, we also met with a couple of our Congressional representatives to ask for more equitable distribution of funds for ME/CFS research. I am reading The Tiger's Wife by Tea Obreht for my neighborhood book group. It took me a while to get into it because I was only reading about 5 pages a day! It's very good, and I'm glad to have a chance to read such a hot new novel - I often don't read new books until they've come out in paperback. Now I need to somehow find time to finish it before Wednesday - it's not looking good! My husband, Ken, is now reading Once a Spy by Keith Thomson, a book I found at the library. He said he's enjoying it so much that he's also bringing it's sequel, Twice a Spy, with him on a business trip this week (it must be good for him to carry two hardcovers with him!). Jamie, 16, read another 3 Redwall books by Brian Jacques last week, in his quest to re-read the entire series! Since he's been home sick, this has worked out well - these are his "comfort books," old favorites. Jamie is also reading The Scarlet Letter by Nathaniel Hawthorne for his American Lit class...but much more reluctantly than the Redwall books, as you can imagine! I am still listening to Blood, Bones and Butter: The Inadvertent Education of a Reluctant Chef by Gabrielle Hamilton on my iPod. She has certainly led an interesting life, to say the least! I think I am almost done with this fascinating memoir. Please pardon the very late post today - our life has been a whirlwind of travel lately (and this week will continue in that vein). After our boys' two soccer games Saturday, we drove up to Connecticut to spend Mother's Day with my mom and my sister and their families (this week is also my mom's birthday). Then we turned around and drove back home less than 24 hours later! Despite the quick turnaround, it was good to see everyone. No one can make me laugh like my family! I hope everyone else had a good Mother's Day. I have finally, just today, finished Cutting for Stone by Abraham Verghese. It took me over two weeks to read this hefty novel, but it is well-worth it, a unique story of a set of twins, born conjoined at the head, and raised in Ethiopa. I finished it today and thought, "Shoot, that wasn't for a book group...now who will I talk to about it??" My husband, Ken, finished Fear, a thriller by Jeff Abbott. He has now moved onto Once a Spy by Keith Thomson. I had pulled Twice a Spy off the New Release shelf at the library for him, but when he tried to read it, he discovered it was the sequel to another book, so I requested the first one from the library for him! Jamie, 16, is still on his Redwall re-reading binge. I asked him today if he was planning to re-read the entire series (for perhaps the third time? ), and he said, "Yes! And I'm trying to read them in chronological order this time," which is different than the order they were published in. I have no idea how many more he read this week - I gave up trying to keep track! On our way to and from Connecticut, we finished listening to Sapphique by Catherine Fisher in the car. Though I think we all favored the first book, Incarceron, slightly, the sequel was well worth our time and provided a satisfying conclusion to the story. Because I've been reading the same book for two weeks, I didn't post any reviews last week but did post a variety of other fun stuff: my April reading summary, a photo of a surprise bookmark Jamie found in one of our older books and a discussion of found bookmarks, and my lists of Top Ten Books I Read Based on Recommendations both here and at Great Books for Kids and Teens. Tomorrow we head to Washington, DC, for a special awareness event and lobbying day on Wednesday for kids and teens with Chronic Fatigue Syndrome (the immune system disorder that both of my sons and I have) - exciting but hectic! So things may be quiet here at the book blog for much of this week. 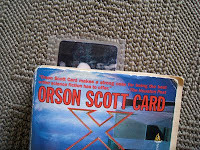 Have you ever found an unusual bookmark in a library book or used book you purchased or borrowed? It's often a quirky little bit of serendipity that makes you wonder about the book's previous readers! This happened within our own home a couple of weeks ago. 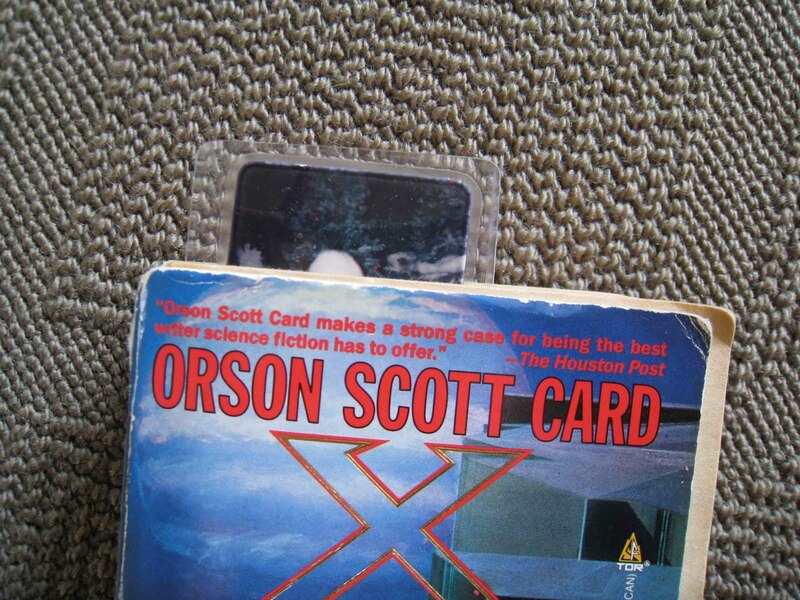 My 16-year old son, Jamie, was home sick and reading straight through the entire series of Orson Scott Card's that begins with Ender's Game. He was reading book 3, Xenocide, when he called me over to show me what he'd found stuck in its pages - this adorable little laminated photo of himself, at about 18 months old, sitting on Santa's lap! That must have been the last time I read the book. This unexpected find made us both smile and reminded me that I'd heard before about blogs that post odd bookmarks found within books. Here are two of them: Forgotten Bookmarks and Pre-Owned Bookmarks. I typically use real bookmarks to mark my place - paper ones from our local indie bookstore or nice ones I received as gifts - but my husband uses whatever slip of paper he finds nearby - receipts, golf score cards, greeting cards, etc. Jamie doesn't use bookmarks at all - he just remembers what page he was on! I could never do that. How about you? What do you use as bookmarks? And what is the oddest thing you have ever found stuck in a borrowed or second-hand book? 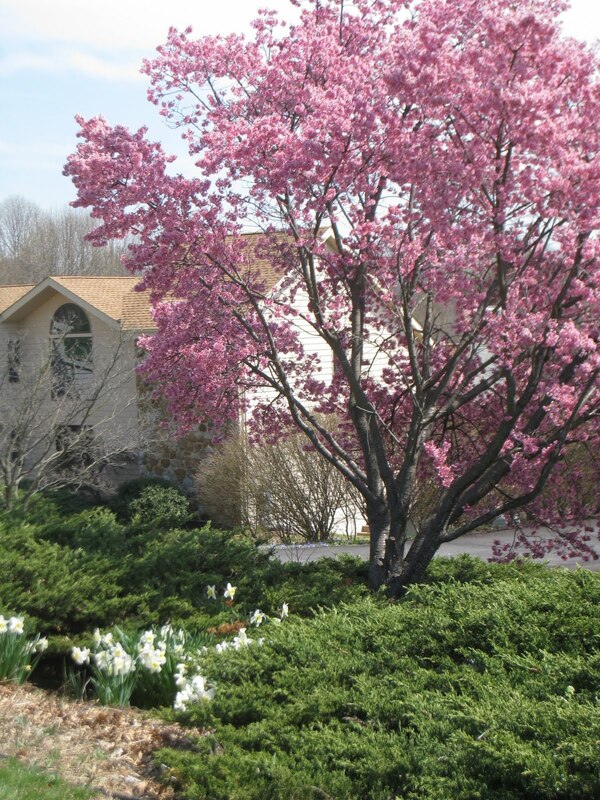 April showers brings May flowers, right? So how come it's still raining? Ah, well, it is May already, no denying it. I read some very good books in May, though not very many. Two of the books I read were over 700 pages (one I am still working on), so that cut into my normal monthly reading time, plus I am in the middle of 3 books right now (one I'm reading, one audio, and another audio with my family), so May should be a good month! Just 4 books, but I enjoyed all of them. I read a very nice mix this month - one adult novel, one memoir, one teen novel, and one kids' novel. I guess The Forgotten Garden would be my favorite, but I really hate to choose just one. I even managed to keep up with my reviews this month! All in all, a good month for books. What was your favorite book read in April? 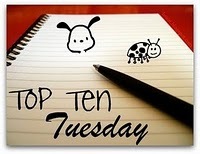 It's Tuesday and that means it's Top Ten Day! Today's topic, hosted by The Broke and the Bookish, is books that I probably wouldn't have read if not for the recommendations of other book lovers whose opinions I respect. 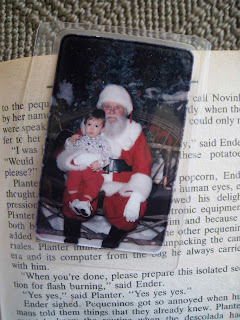 I had fun poring over my book journal and past blog entries for this list, recalling why I read certain books. I chose to leave out books read because of my book groups because that list would have been much longer! There are dozens of fabulous books I read for book groups in the past five years that I never would have read otherwise (see my list of Top Ten Book Group Books). Replay by Ken Grimwood – recommended to me by my husband, Ken, when we were first dating. It turned out to be my favorite book (I've now read it three times) - see why I married him? Singing with the Top Down by Debrah Williamson - a gift from Ken, chosen with help from the fabulous staff at out local indie bookstore, The Ninth Street Bookstore. The Memory of Running by Ron McLarty - ditto, another gift from Ken! Baker Towers by Jennifer Haigh - lent to me by my neighbor, Pam. I wasn't all that interested in it at first but read it to be polite. I loved it and recommended it to my book group! 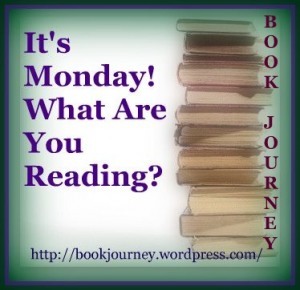 Firefly Lane by Kristin Hannah - another one lent to me by my neighbor. Not my usual type of novel, but I loved it (and cried three times). The Help by Kathryn Stockett - yet another lent to me by Pam - don't I have a great neighbor?? The Red Leather Diary by Lily Koppel - recommended to me by my mother - she and I always trade books when we see each other! Operating Instructions by Anne Lamott - recommended to me by one of my closest friends, Amy, who knew I would love it as much as she did! The Senator’s Wife by Sue Miller - another one borrowed from my mom - I never would have read it on my own but really enjoyed it (more than other Sue Millers I've read). So, how about you? What books have you read and enjoyed based on recommendations? If you'd like to see my list of Top Ten Kids/Teen Books That Came Recommended, check out Great Books for Kids and Teens. It's Monday - not only back to the work week for us but back to real-life after our 10-day spring break trip to Oklahoma. Re-entry is always tough. I so enjoy the break from every day life, having very few responsibilities or obligations, able to just go with the flow, hang out with my husband and kids, and allow my mind to rest and wander. Now it's back to laundry and writing and very long to-do lists!! If anyone knows the secret to bringing a bit of that vacation mindset back home, let me know. I am still reading Cutting for Stone by Abraham Verghese. It's a looong book! You would think I'd have MORE time to read while on vacation, but of our 10 day-trip, we spent 6 days in the car, and I can't read in the car without getting sick. Anyway, I'm enjoying the novel very much - it's just as good as everyone has said. My husband, Ken, finished Eyes of the Innocent by Brad Parks, a thriller in the humorous style of Janet Evanovich, and enjoyed it. Ken is now reading Fear, a thriller by Jeff Abbott that I picked up in the 50 cent pile at the library's used book sale. He says it's fascinating because the plot revolves around a scientific breakthrough of using beta blockers to treat post-traumatic stress disorder, an especially interesting premise for him since I started beta blockers in January. 16-year old Jamie read another 3 or 4 of his old favorite Redwall books by Brian Jacques this past week. I quit even trying to keep track of the exact titles because he was flying through them so quickly and had brought so many from the series with him on the trip! Jamie can read in the car and does so almost non-stop (though he had homework to do on the way home). Craig, 13, finished Tom Sawyer by Mark Twain for his English class. I wanted so badly to be able to stop in Hannibal, MO, on the way home to show him Mark Twain's boyhood home and the town and cave that inspired Tom Sawyer, but with 1400 miles to cover in only 3 days, we had no extra time to spare! We had to settle for admiring the Mississippi River as we crossed through St. Louis. Craig and I have also been reading aloud from 100 Cupboards by N.D. Wilson, a middle-grade novel about kids finding alternate worlds through cupboards in their attic. I really appreciated having the extra leisure time to enjoy a read-aloud with him - something that has become increasingly rare in our busy lives. We used to read with the boys every single night before bed; now we don't usually have time unless we're on vacation. We've all been listening to Sapphique by Catherine Fisher in the car. Last spring break, we listened to the first book in the series, Incarceron, on our way to Louisiana and loved it. We are on the last CD now, and this second book has kept our rapt attention all throughout our long drive. Now we have to find time to finish it! No reviews last week, since I was on vacation. I do want to take a moment for an overdue thank you to Books Kids Like, a wonderful book blog that awarded me the Versatile Blogger Award a few weeks ago. Though I have already accepted this award previously, I very much appreciate the thought. Please take a moment to visit Books Kids Like, a fabulous blog filled with reviews of books for kids of all ages!